A few weeks ago, out of the blue, my son said to me "I think you should have a running group for kids". I thought it was a good idea and as I was processing what he just said he proceeded to say "And I think you should call it Pip Squeak Running!". Flash bulbs went off. July was the start of this fun, free summer program I started for kids. I decided the goal was to get kids outside and running. I know from my own son that having him just run laps was not going to be fun to him. I originally thought laps for prizes might be motivating but the age range of the kids involved was pretty broad so I started looking for ideas. I looked up running games for kids and found a lot of old favorites that we used to play. Never thought much about these games as for teaching skills or techniques but of course Duck, Duck, Goose is speed work! 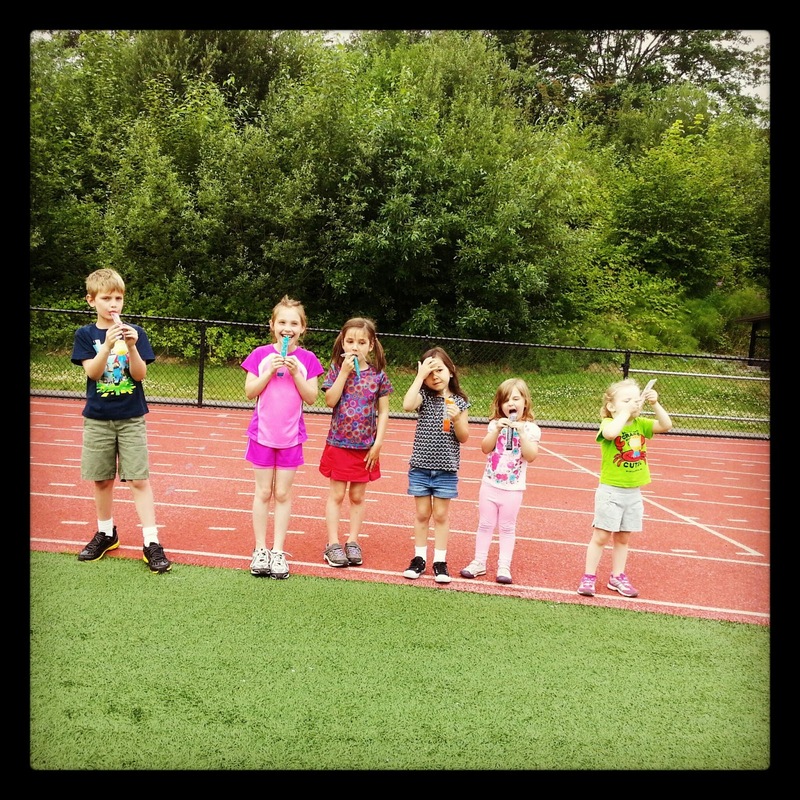 Our first Pip Squeak Running event was last Friday. I fretted way more over what to do at this event than I have with any of my adult pay-for-training sessions. Despite 10 kids not showing up things went pretty well. I tested events on my own kids a few days earlier and came up with a few gems. Obstacle course, dashes, and bean bag relay. There were a few prizes given out, candy was won & all the kids earned Otter Pops. My kids were tired that day. My 3 year old who never naps we found asleep on the couch later that afternoon. I'm considering that a definite success. That and the fact that they keep asking me if they're going to Pip Squeak Running.